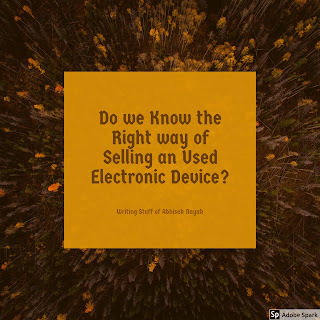 Do we Know the Right way of Selling an Used Electronic Device? You don’t think about selling your old device till you do not need some extra cash, whether it is for buying you a new phone or something else, but till this situation comes, you do not care about what happens to your phone, you may care about it if it has some contents which can get you in trouble when it goes to some alien hands. What are the things that you face, while selling your old electronic device? You dream of getting some amount of money and doing different things with that money. But, the sad part is that you never get the amount of money you have thought of initially and your heart starts to break during the meetings, which brings you down to the floor of your dreams. You get to know about the other defects of the phone which you never knew before while meeting the buyer.